For those of you lucky enough to live in the northern hemisphere, the riding season is well underway. And that means lots of fresh new product from the motorcycle gear makers. Here’s a roundup of new gear that has caught our eye, from brands both big and small. Icon 1000 Oildale Icon is steeped in custom moto culture. The Portland-based company switches effortlessly from building outrageous customs to cutting-edge apparel with a unique twist. The new Oildale jacket is constructed around a tough wax-coated canvas chassis that’ll age gracefully over the years. It’s flexible too: Stretch ballistic nylon panels, the same material used in high-end racewear, are incorporated throughout. You get a full D3O impact protector package—elbow, shoulder and back—plus a removable insulated vest liner and top-quality YKK zippers. Choose from black or brown colors, and expect to pay around $250. 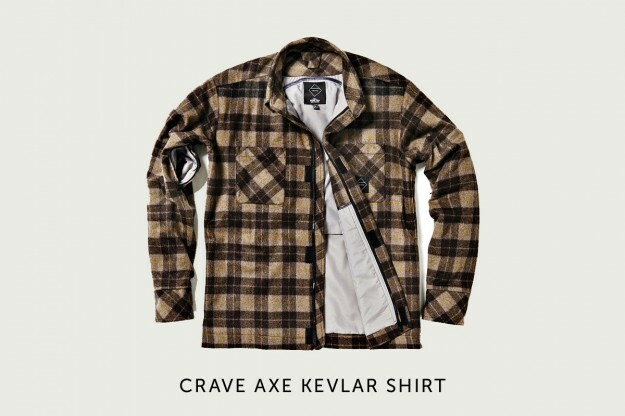 Crave Axe 2 A Kevlar shirt? It sounds oddball, but there’s a strange logic to it. It’s the brainchild of designer Bart Krzyzaniak, who likes to ride both snowboards and motorcycles. The Axe is a light, comfortable motorcycle shirt for days when it’s too hot to wear a jacket. There’s a layer of Kevlar between the outer shell and the lining, and pockets for shoulder, elbow and back protectors. On the outside, there’s a sleeve pocket for your phone or wallet, and zippers under the arms to increase ventilation. At €299 ($415) the price is in upper-mid-range jacket territory—but it’s a helluva lot better than riding in a T-shirt. uglyBROS Motorpool UglyBROS is a Korean company that’s been operating for just ten years, which makes it a mere babe in motorcycle apparel terms. 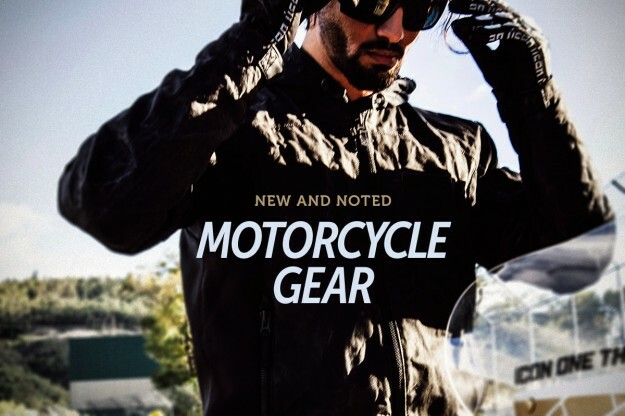 But it’s becoming an increasing force in the moto market in the US, mostly through its jeans—which range from ‘technical’ styles with reinforced stitching to more fashion-oriented gear with Kevlar weave. 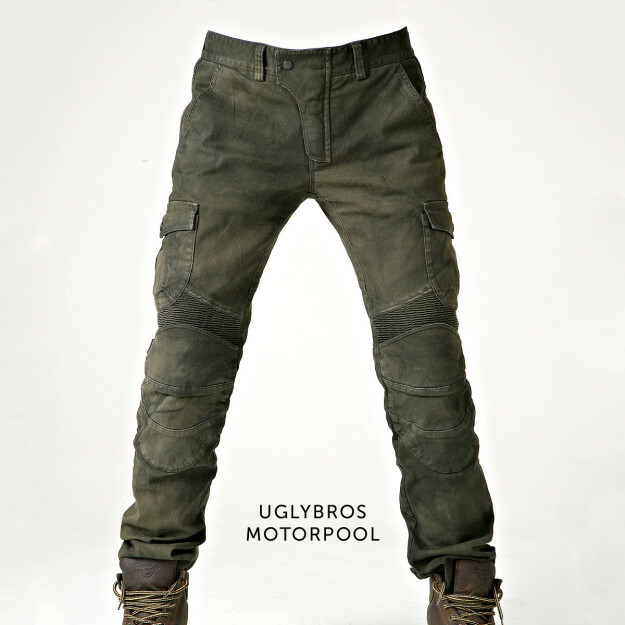 The Motorpool pants are something new: A hint of Mad Max styling in a ‘stained olive’ color and a slim fit. You get knee and hip protectors, and stretch rib paneling for extra comfort on the bike. The price is at the upper end of the range at $320, but with looks like this, can you resist? 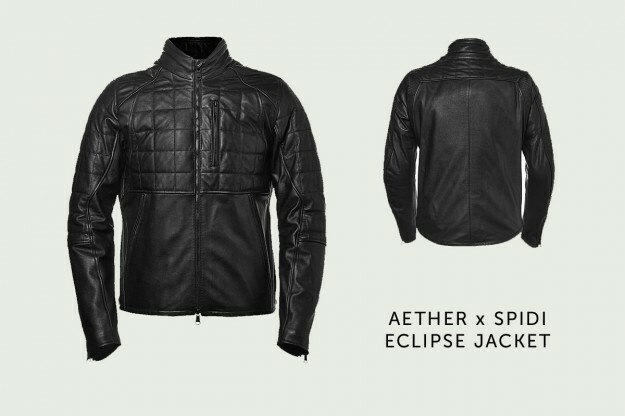 Aether x Spidi Eclipse The technical clothing specialist Aether is edging further and further into the motorcycle scene, thanks to a discreet petrolhead culture at head office. They’ve hooked up with the Italian apparel maker Spidi to create a jacket that looks like something out a 1970s science fiction film. The Eclipse includes removable CE-approved armor, a premium leather outer and a cotton inner, and stretch ribbed panels for flexibility. There are zips and pockets galore, but the highlight is the box-quilted section on the upper half, a nod to vintage jackets of the past. The price? If you have to ask … oh, go on then. It’s $1,195. 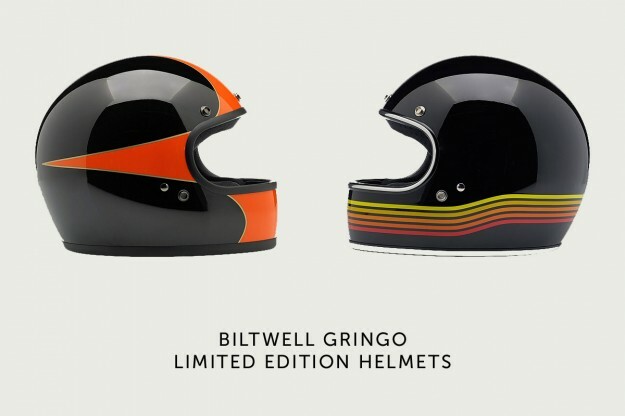 Biltwell Gringo Limited Editions Biltwell has hit a home run with its Gringo helmet. It’s a simple design that’s unlikely to look dated any time in the near future. The pitch is 21st century comfort and 1970s styling, and that suits a lot of people just fine. If the regular plain colors are not quite flashy enough for you, check out these new Limited Editions, which amp up the retro vibe. Take your pick from the Scallop (L) or Spectrum designs: At less than $200, they’re good value too.